Night lights usually come in the shapes of innocuous little critters like bunnies and bears and owls. We get it. It’s so night lights don’t spark nightmares. But what to do then with a boy who’s too big for bunnies but still needs a buffer against things that go bump in the night? You get him a rip-roaring dinosaur night light, that’s what. 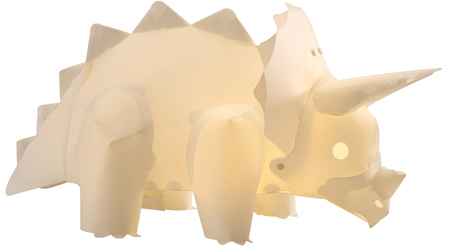 These DIYnosaur lamps from Moedik – so named because you have to build them yourself – have just the right amount of “toughness” for little boys who fear the dark but worry that regular night lights are for babies. More akin to the size of a bedside-table lamp, these night lights aren’t portable and won’t fit in the palm of your hand. But they’ll certainly make a statement in any little boy’s room. They take standard sized light globes so your dinosaur can be whatever colour you like. Feeling blue? Slip in a blue light globe. Ditto for green or red. It’s your otherwise girly-girl daughter with the dinosaur fetish? Pink T-rex coming up. 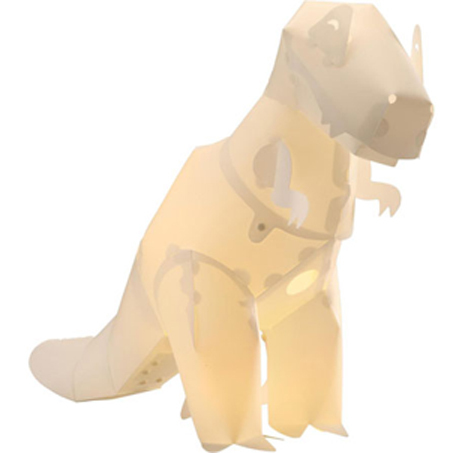 DIYnosaur lights come in T-rex, pterodactyl, triceratops or diplodocus varieties, ensuring a tough choice for mini dinosaur fans. They cost £20 each from Little Scout. Contact Little Scout direct to enquire about shipping to Australia. 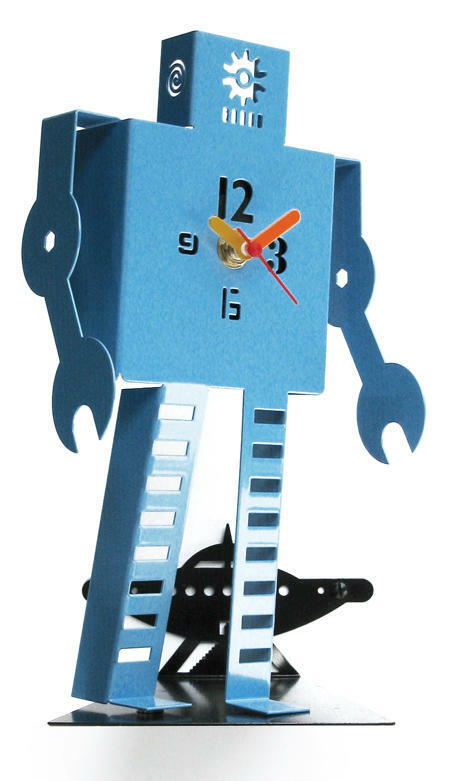 While you’re there take a look at some of the other glorious things on offer in this UK-based web shop of cool things for boys, including a robot clock to match the robot night light we wrote about last year. Check here to find more past Babyology posts about night lights or lighting for nurseries and kids’ rooms.